Named after the singers and lutenists who performed in the most intimate quarters of the Stuart monarchs’ palace, The Musicians In Ordinary for the Lutes and Voices dedicate themselves to the performance of early solo song and vocal chamber music. Soprano Hallie Fishel and lutenist John Edwards have been described as ‘winning performers of winning music’. 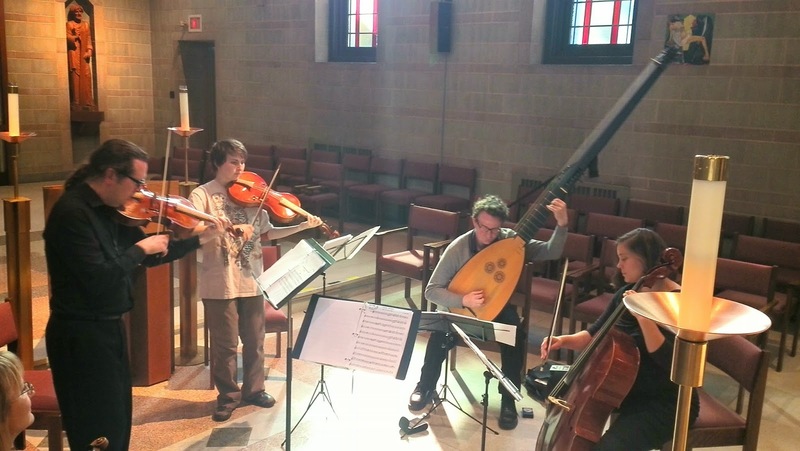 A fixture on the Toronto early music scene for over 10 years, in 2012 MIO became Ensemble in Residence at St. Michael’s College in the University of Toronto. They have concertized across North America and lecture regularly at universities and museums. Institutions where MIO have performed range from the scholarly to those for a more general public and include the Shakespeare Society of America, the Renaissance Society of America, the Shakespeare Association of America, Grinnell College, the Universities of Alberta, Toronto and at California at San Diego, the Kingston Opera Guild, Syracuse, Trent and York Universities and the Bata Shoe Museum. They have been Ensemble in Residence at Lafayette College in Easton, Pennsylvania. Christopher Verrette has been a member of the violin section of Tafelmusik since 1993 and is a frequent soloist and leader with the orchestra. 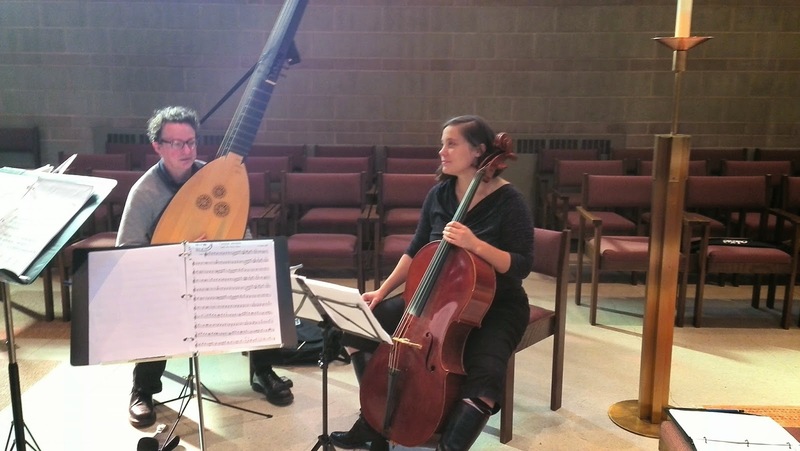 He holds a BMus and a Performer’s Certificate from Indiana University and contributed to the development of early music in the American Midwest as a founding member of the Chicago Baroque Ensemble and Ensemble Voltaire, and as a guest director with the Indianapolis Baroque Orchestra. He collaborates with many ensembles around North America, performing music from seven centuries on violin, viola, rebec,vielle and viola d’amore. He was concertmaster for a recording of rarely heard classical symphonies for an anthology by Indiana University Press and collaborated with Sylvia Tyson on the companion recording to her novel, Joyner’s Dream. Patricia Ahern has a BA and BMus from Northwestern University, MMus from Indiana University, and performer diploma from the Schola Cantorum in Basel, Switzerland. She taught baroque violin at the Freiburg Conservatory and Oberlin’s Baroque Performance Institute, and has given masterclasses at McGill, Wilfrid Laurier, York and Grand Valley State Universities, and the Universities of Windsor, Wisconsin and Toronto. 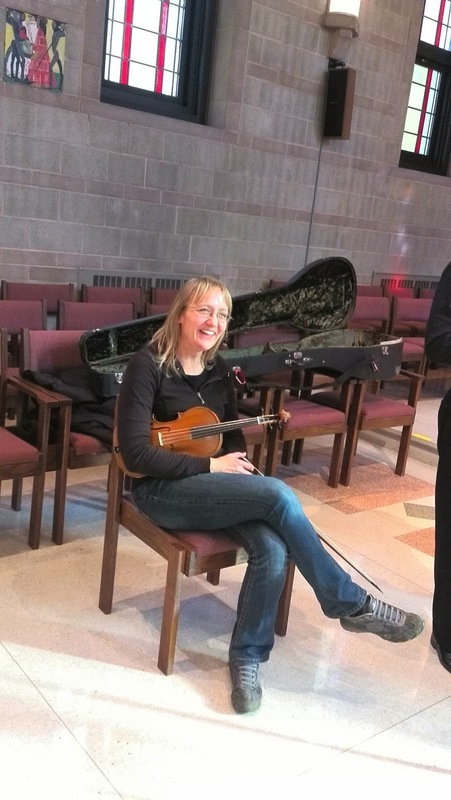 She has concertized on five continents and performed with Milwaukee Baroque, Ars Antigua, Chicago Opera Theater, Kingsbury Ensemble, Aradia, I Furiosi, Newberry Consort, Musica Pacifica, and the Carmel Bach Festival. Tricia has recorded for Sony, Naxos, and Analekta, and joined Tafelmusik in 2002. 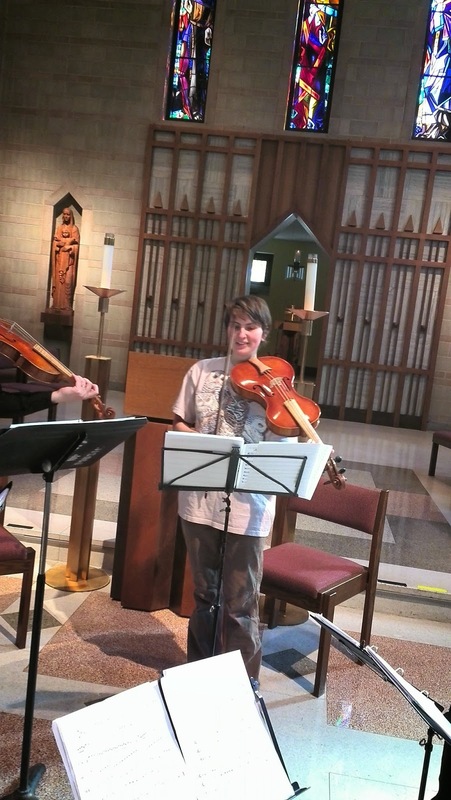 Eleanor Verrette began her studies on violin in Toronto with Gretchen Paxson and Aisslinn Nosky, going on to study viola in Montréal with Pemi Paull and Anna-Belle Marcotte at McGill University. She graduated from McGill University in 2012 with a Bachelor's in viola performance. She appears regularly with the Musicians In Ordinary, and is featured on recent album releases by acclaimed folk-rock artists Lakes of Canada and Corinna Rose. She has also performed with Aradia Ensemble and Montréal singer-songwriter Ari Swan, and plays vielle as a founding member of the Pneuma Ensemble. Kerri McGonigle is the Artistic Director of the Academy Concert Series. Recipient of the Margarita Heron Pine String Prize and the Beryl Barns Graduate Scholarship, Kerri graduated with a Master of Music degree in cello performance from the University of Alberta. While studying in Paris, she won Premier Prix with unanimous distinction in violoncello and chamber music from the Gennevilliers Conservatory. Having completed an Advanced Certificate in Baroque Performance with Tafelmusik through the University of Toronto, Kerri is based in Toronto and performs regularly as a soloist, recitalist, chamber musician and orchestral cellist. Kerri spends her days running after and cuddling her beautiful 16-month old son, practicing cello while he naps – thankfully he is a great sleeper! In 1628 the governing council of the Church of Santa Maria Maggiore in Bologna, where Alessandro Grandi, formerly Monteverdi’s second-in-command at St. Mark’s, was now maestro di capella, issued a memo that tells a different story. The governing council seems to have been eager, then, to disseminate the spiritual benefits to be reaped from listening to music. However, upon his arrival at his new gig Grandi did an inventory of Santa Maria’s music library which has survived. Though they liked Grandi’s music enough to hire him, the library is full of Palestrina generation ‘da capella’ music rather than the new small scale and drama driven baroque style with and without instruments. 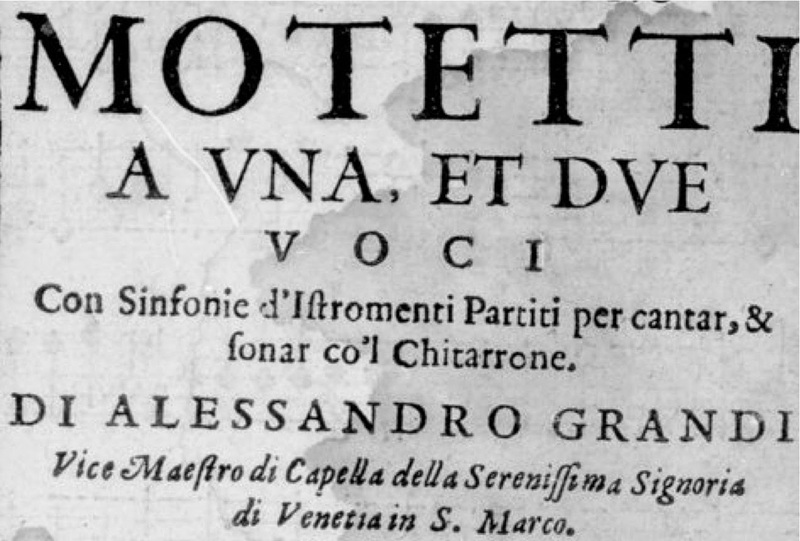 Did Santa Maria engage Grandi to update their music program or were Grandi’s books of motets for one to three voices ‘con sinfonie’ composed more for and consumed more by the great and the good at their ‘certain oratories’? Or perhaps both as the great and good on the church council wanted to give to the townsfolk the spiritual thrills and chills that the baroque style shared with opera and which they had access to. The peripatetic Biagio Marini did much to spread the baroque style north of the Alps on his constant search for a better job. He worked as a bass singer and violinist under Monteverdi at St. Mark’s for a time and much of his music was printed in Venice. We insert one of his Sinfonie as a ritornello into Sances’s Stabat Mater, also published in Venice. Marini may have studied violin with Giovanni Battista Fontana whose sonatas were also published there after his death. Monteverdi’s Confitebor tibi ala francese has at the top the suggestion ‘for five voices, or if you like, with four violins, leaving the soprano voice solo’, which we do this evening. the punishment of her glorious Son. that I may please Him. share with me His punishment. in your mourning, this I desire. do not be bitter to me now. Make me mourn with you. for the sake of your Son’s love. and nurtured by His grace. Declare it with the voice of joy, and make it known, alleluia. Christ has ascended on high. He has led captivity captive. He has given gifts to mankind, alleluia. O how beautiful you are, my love, my dove, my pretty one. Your eyes are like a doves. Your hair is like a flock of goats. Your teeth are like a flock of ewes ready for shearing. Come from Lebanon, come my love, my dove, my pretty one. O how beautiful you are, come. Arise my bride, arise my delight, arise my immaculate one. Arise and come, for I am sick with love. O all ye that pass by the way, look and see if there be any sorrow like to my sorrow. Be astonished, O ye heavens, at this; and ye gates thereof be very desolate. Hear, O heavens, and give ear, O earth, and be astonished because of this. I reared children, but they have rebelled against me, those I fed with manna in the wilderness, they gave me gall for my food, and the water of salvation I have given them, they, however, in my thirst, they gave me vinegar to drink. Take heed, therefore, and see if there be any sorrow like to my sorrow. Hear, O heavens, and give ear, O earth, and be amazed at this. As for the sons I exalted them, but they have rebelled against me. I have opened the sea before them, and they have opened my side with a spear. I scourged the Egyptian side on their account, and they scourged me and handed me over.